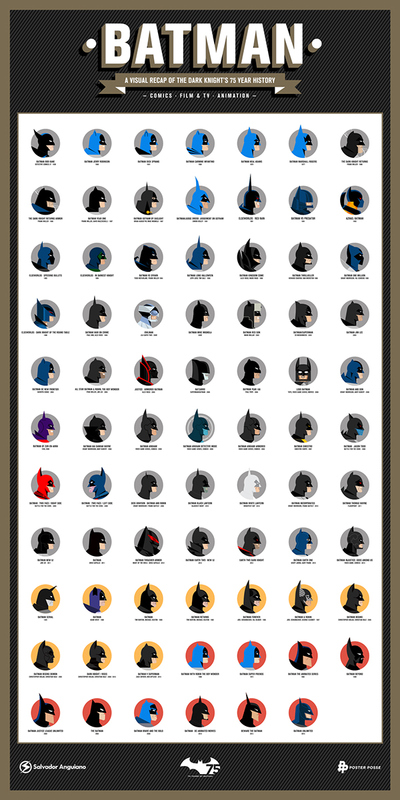 To celebrate Batman’s 75th anniversary, an artist created a poster featuring profile illustrations that represent key points in The Dark Knight’s history. Mexico-based independent graphic designer and illustrator Salvador Anguiano exhibited a beautiful illustration style on his entry for the Poster Posse project celebrating the 75 years of Batman. 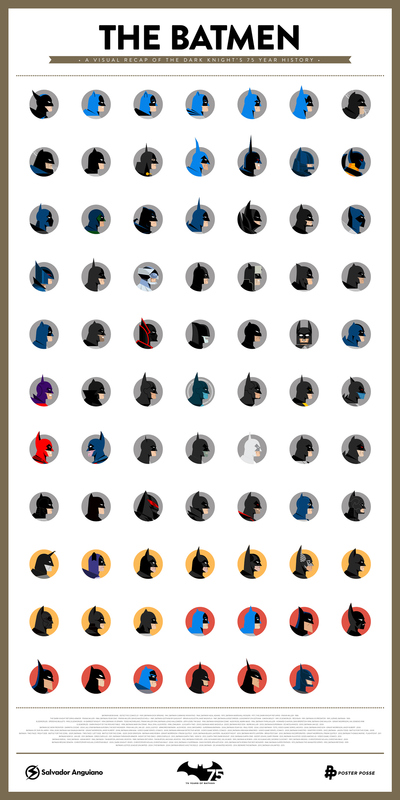 Inspired by the works of Miguel Camilo, the poster showcases 75 different profiles of Batman – the distinguished cowl – each representing an important moment in the superhero’s long and ongoing career. Salvador chose to pay tribute to as much of Batman’s looks because for him, it was difficult to pick just one era out of the character’s rich history. 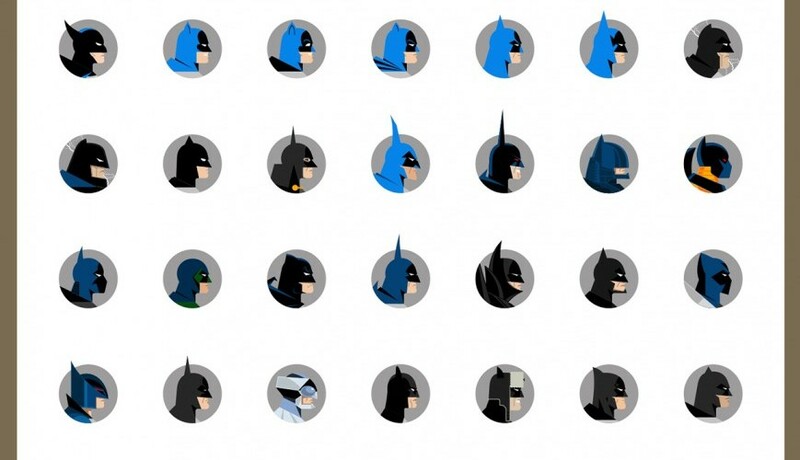 From Adam West to LEGO, the illustrations within the poster was done in a consistent subtle geometric style that still kept the recognizable differences of each particular Batman. The profiles are grouped into color-coded categories specifying the hero’s appearances in comics, video games, movies, television shows, and animation. Take a good look on Salvador Anguiano’s exquisite works on his website or Behance. Which Batman representation was your favourite? Tell us through the comments box below!